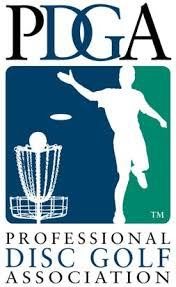 PDGA sanctioned league events in Lakeview! Beef up your PDGA ratings and points right here in SmallTown/TallTown! and at the same time, save yourself the huge expense of having to travel to other areas just to earn a few PDGA Ratings and Points. LEVEL 48 is pleased to host six fun and challenging PDGA sanctioned 18-hole events held right here at SoPo. [Available to current LEVEL 48 Club members only. Non-current LEVEL 48 members or general public may pay $10 for club membership at time of registration.] –> All events will be held on Sunday mornings – tee off at 9:0 AM sharp. –> All walking paths, exercise areas, tee pads, over fences, walls or RR tracks are OB. –> Island Hole (holes 3 & 12): Your drive must land within the circle; else take 1 stroke penalty and move up to line to putt. ← Happy 2019 Lakeview Disc Golfers! I’m looking forward to it! Can’t wait to see a ballpark idea of what my rating could be. I hope I’m proud…..